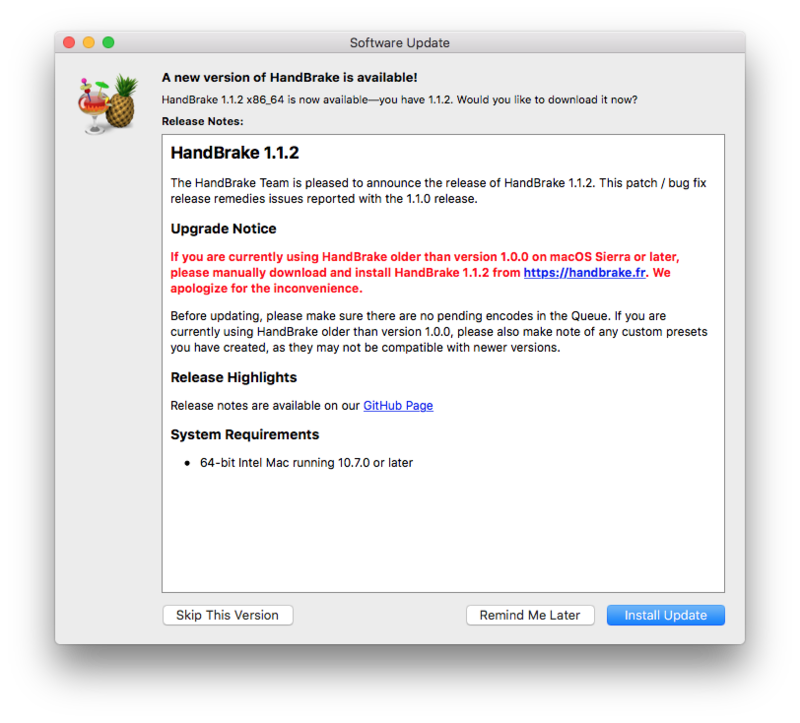 The HandBrake Team is pleased to announce the release of HandBrake 1.1.1. 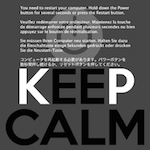 This patch/bug fix release remedies issues reported with the 1.1.0 release. If you are currently using HandBrake older than version 1.0.0 on macOS Sierra or later, please manually download and install HandBrake 1.1.1 from https://handbrake.fr. We apologize for the inconvenience. La cosa strana è che pur essendosi regolarmente aggiornato continua a segnalare la disponibilità di un ulteriore aggiornamento. ... pur essendosi regolarmente aggiornato continua a segnalare la disponibilità di un ulteriore aggiornamento. 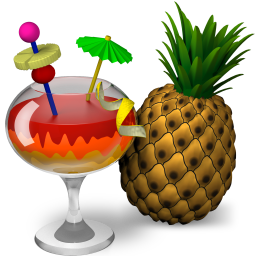 If you are currently using HandBrake older than version 1.0.0 on macOS Sierra or later, please manually download and install HandBrake 1.2.0 from https://handbrake.fr. We apologize for the inconvenience. If you are currently using HandBrake older than version 1.0.0 on macOS Sierra or later, please manually download and install HandBrake 1.2.1 from https://handbrake.fr. We apologize for the inconvenience. If you are currently using HandBrake older than version 1.0.0 on macOS Sierra or later, please manually download and install HandBrake 1.2.2 from https://handbrake.fr. We apologize for the inconvenience.